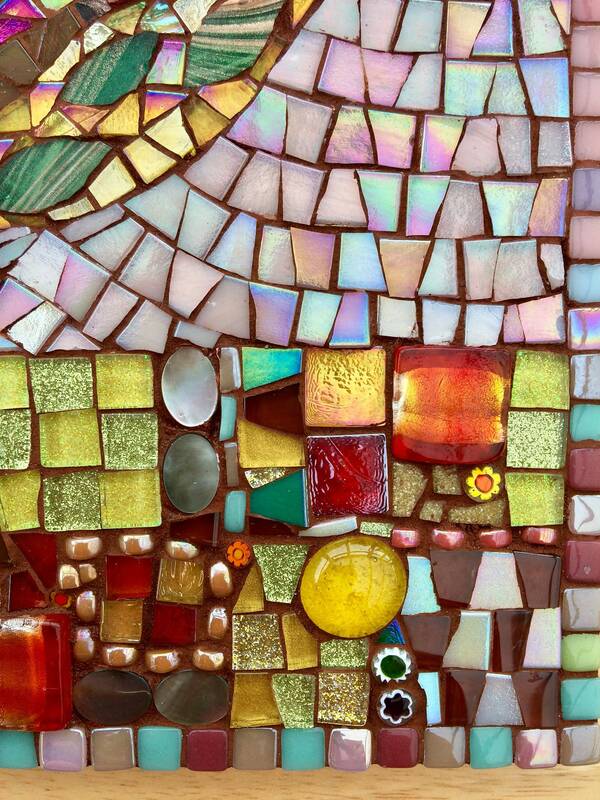 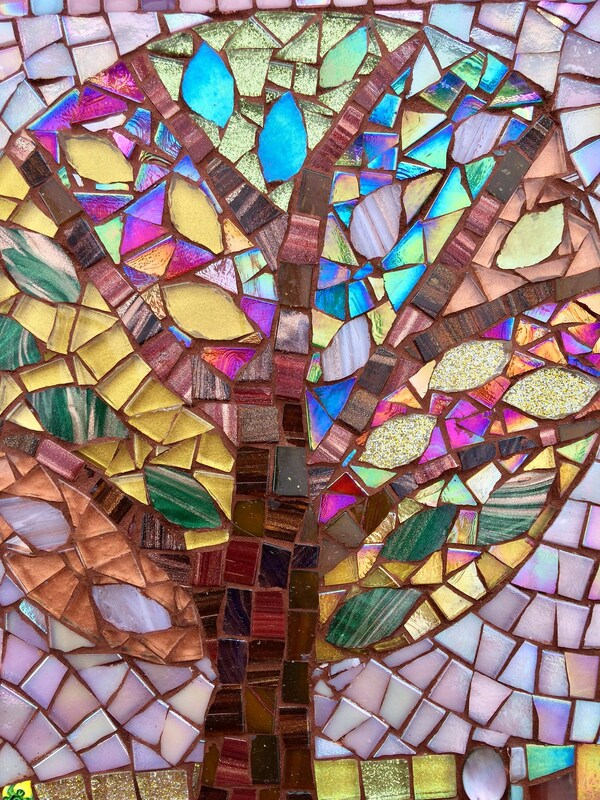 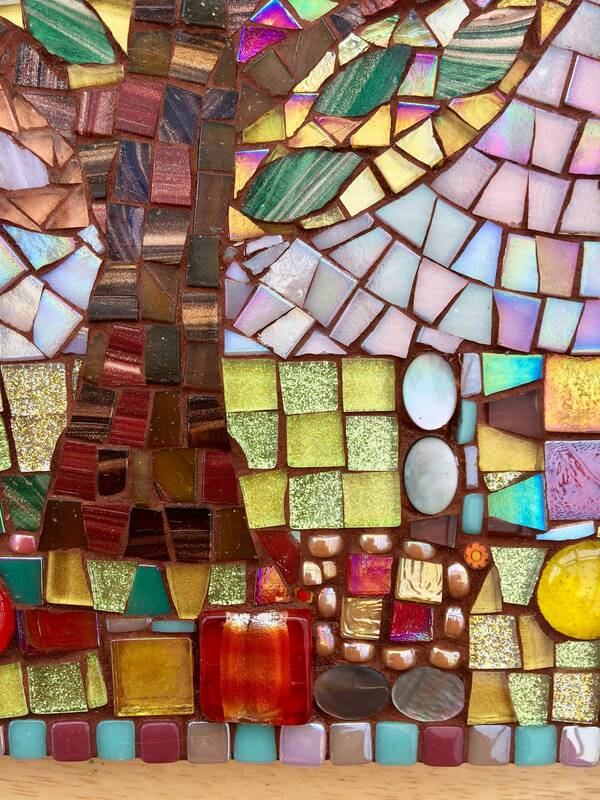 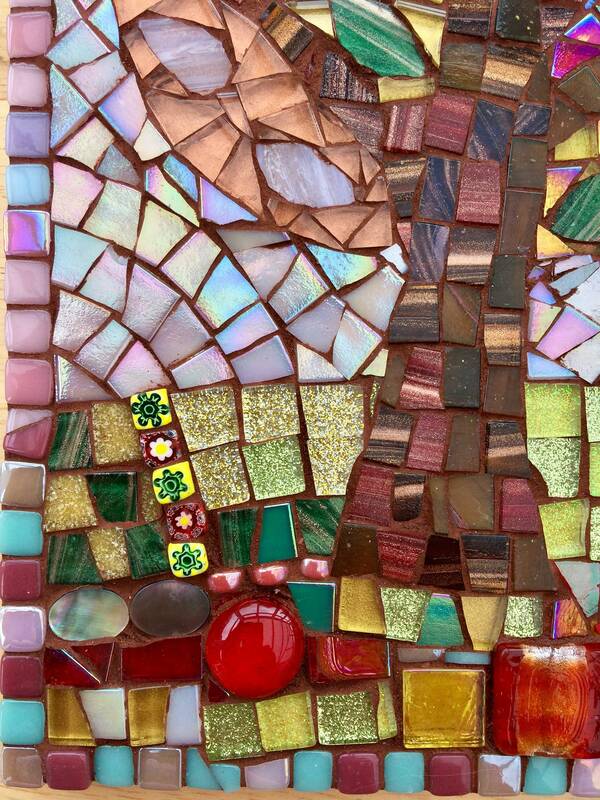 It is an original mosaic design which shows an abstract, folk art image of a tree in Spring time through colours and shapes. 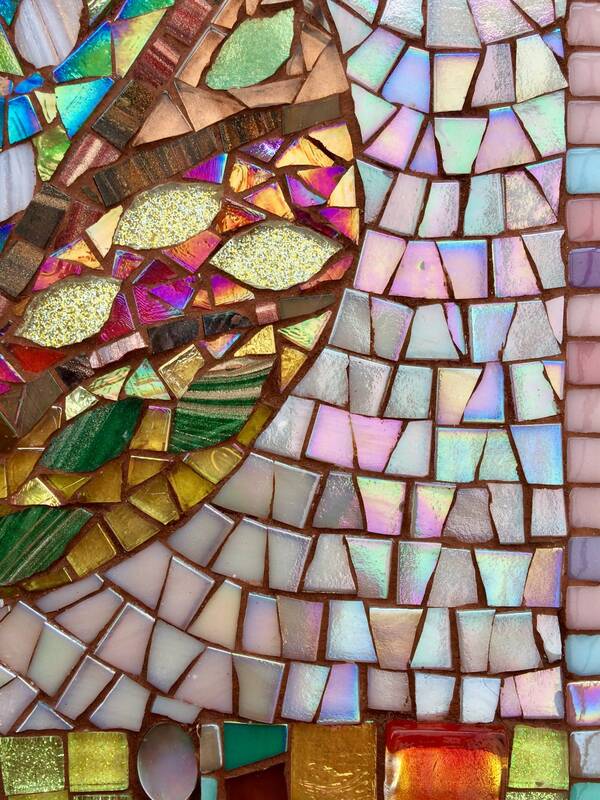 I have used lots of different types of glass tiles eg iridescent, shimmer glass, murrini glass, glitter glass, gem stones and beads which all catch the light in different ways which makes the piece really shimmer and shine. 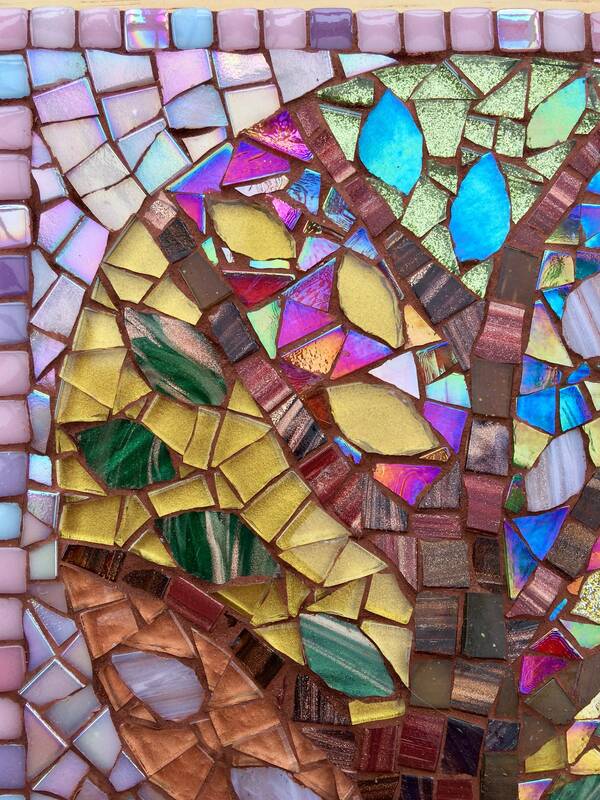 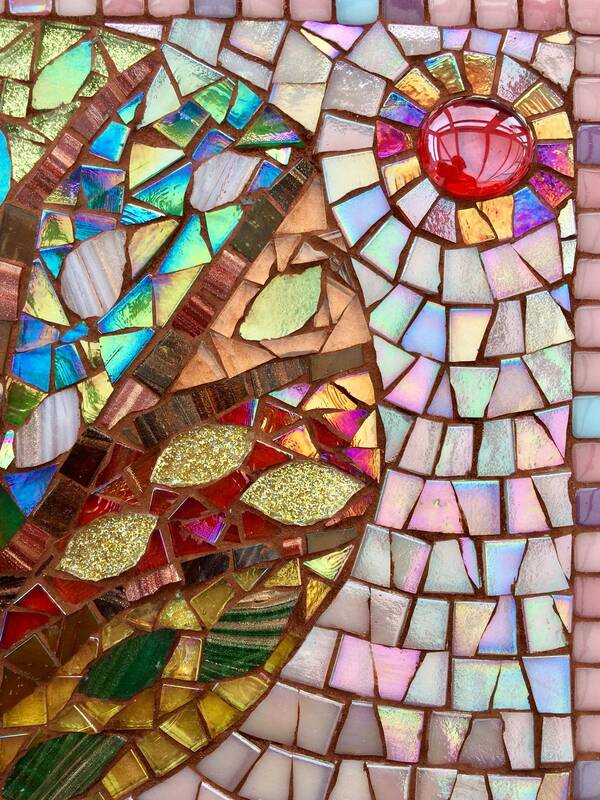 It is one of 2 mosaic pictures which are very similar but have some colour differences. 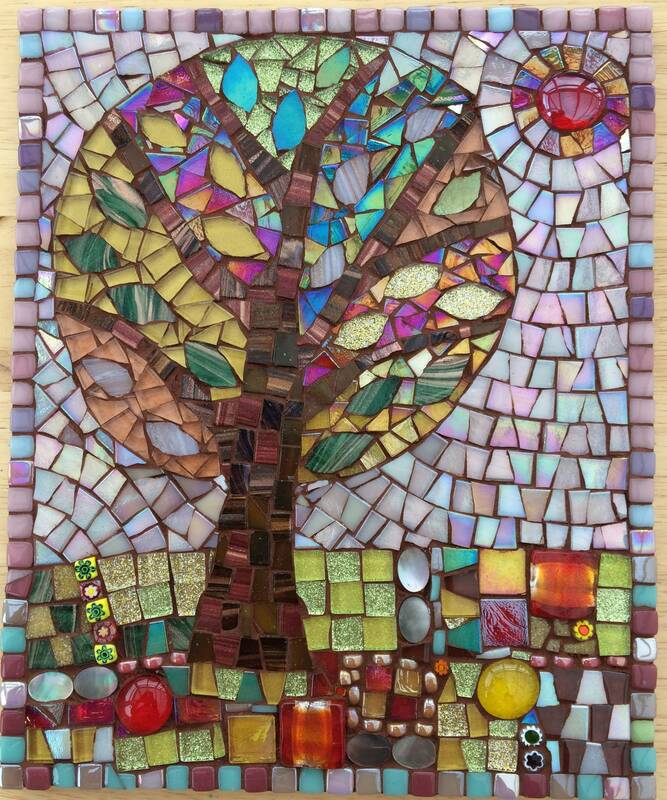 Made with hand cut glass tiles, coloured glass stones and beads- which are glued onto a MDF board, then grouted in a hand-blended dark terracotta colour.